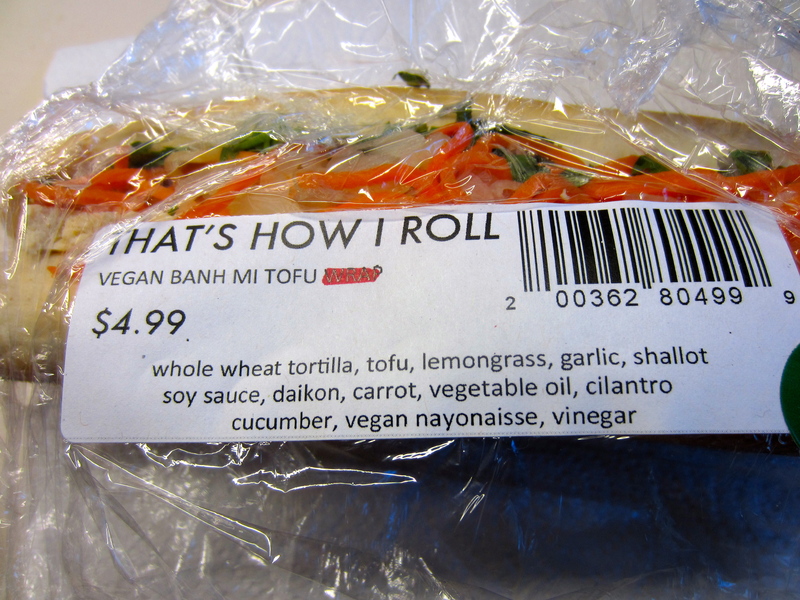 Our friends Taylor and Beth have been getting non-vegan banh mi at Lee’s Bakery for a while. They started asking about a vegan version and they said they could do that. Apparently, the menu changed about a week later. Let’s look at that a little closer. 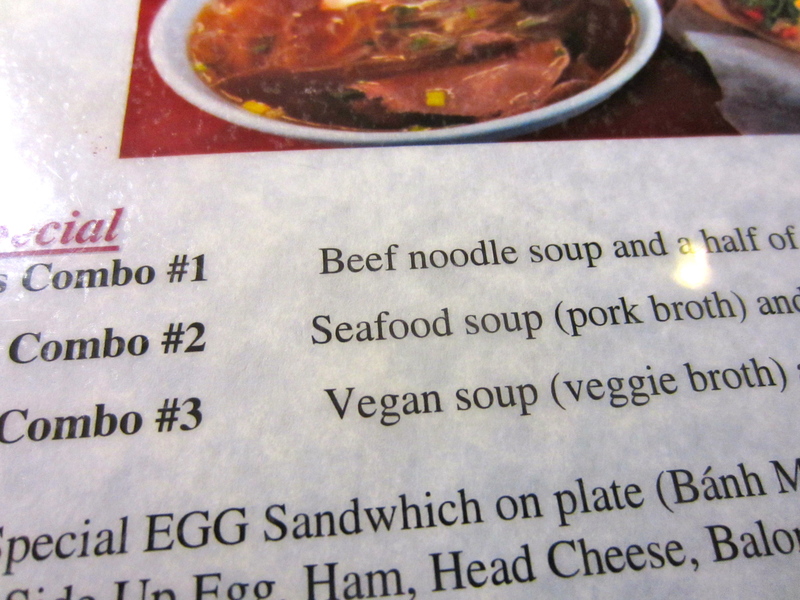 Yes, that says “vegan soup.” So you can get the tofu banh mi, just ask that mayo be left off, and a pho-like soup or a half sandwich and soup combo. We whipped together earth balance and veganaise and brought it with us for the sandwiches. 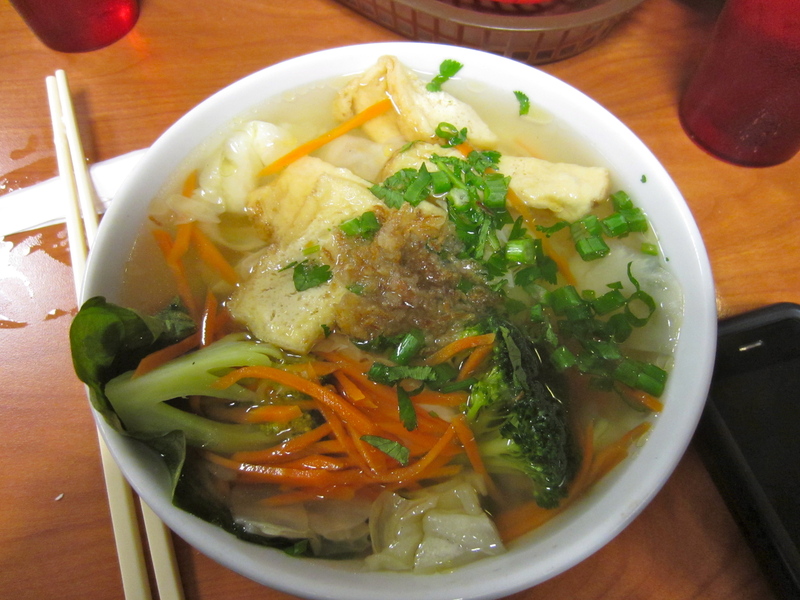 I like the soup broth better than the Pho 96 one. It isn’t flavored with 5-spice powder. But it doesn’t have all the fake meats Pho 96 uses. Which is okay with me. 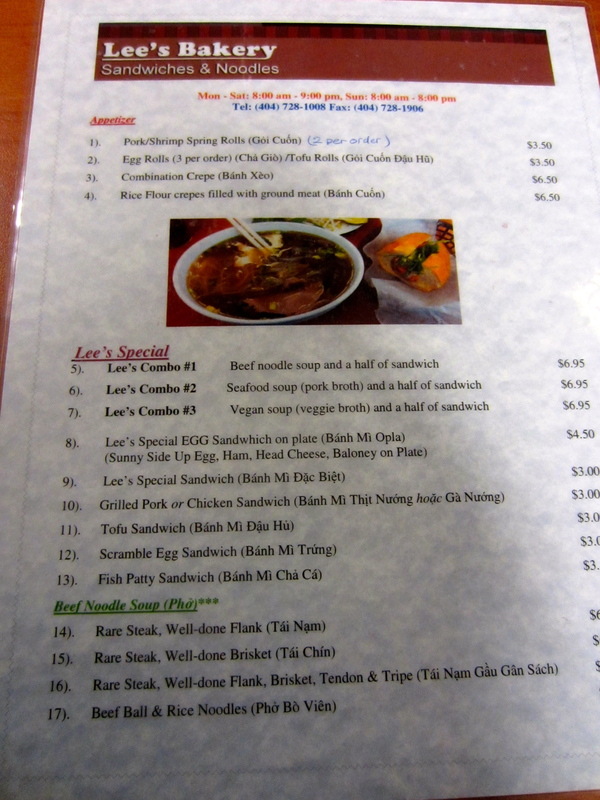 Our first visit, I did the half sandwich and soup combo. A half sandwich is about 6″ long. And they have two sizes of the soup. This smaller one comes with the combo. Smaller, not small. 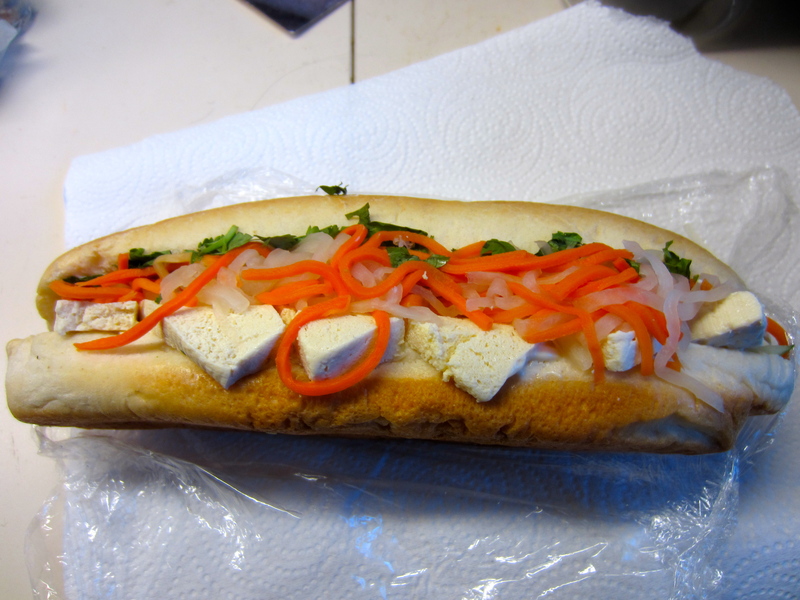 Full of veggies, rice noodles, tofu, yuba, and sprinkled with green onions and fried onion. You also get a plate of sprouts and cilantro to add. 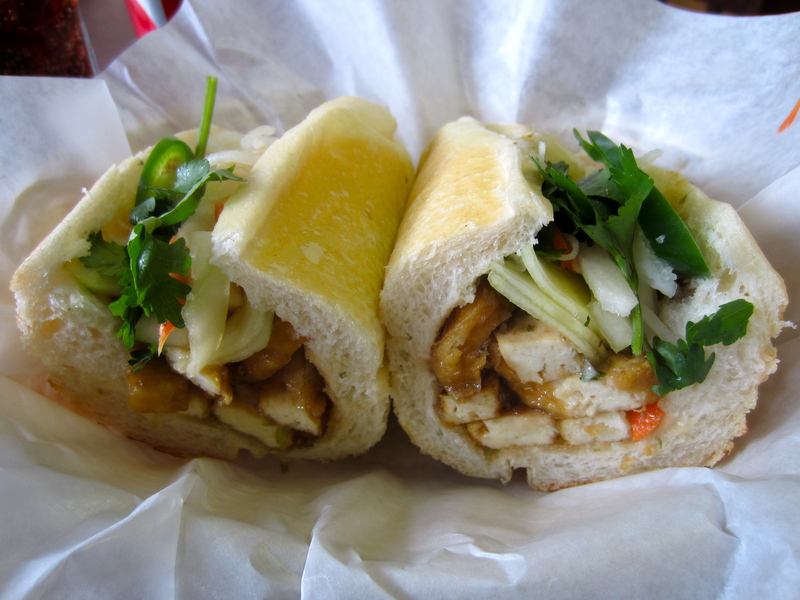 The combo is $6.95, a whole tofu banh mi sandwich is $3. I sure wish this was closer in town. 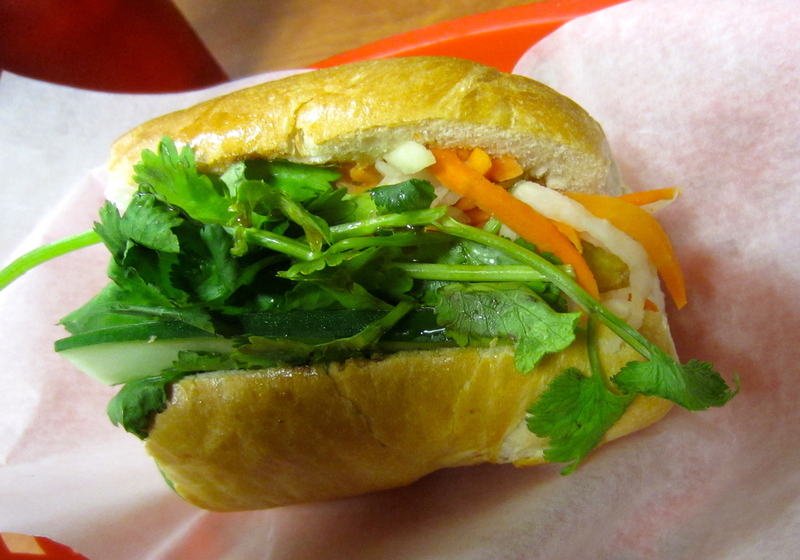 Our last day in Seattle, I was on a mission to put some vegan bahn mi in my mouth. 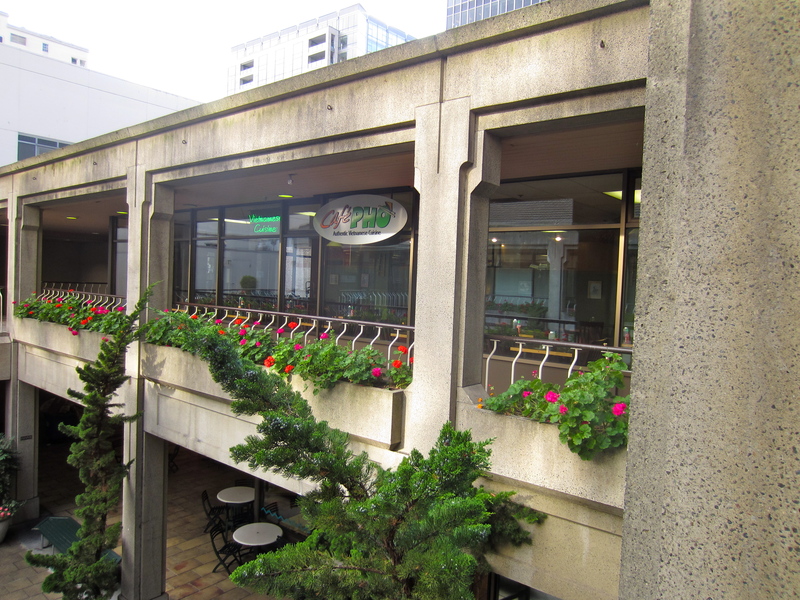 It worked out just right to swing by the downtown Cafe Pho and get some sammiches. They don’t have a vegan version of the mayonnaise sauce so we just left that off. Still delicious. Maybe I should use some of my time off next week to make some at home.